If you're wondering if the iPad Mini had an effect on its competitors, it did. Just not the one you were thinking. The Kindle Fire HD actually had its biggest day of sales since its launch, the day after the iPad Mini was announced. 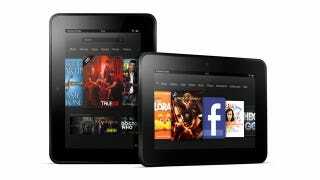 "Wednesday was the $199 Kindle Fire HD's biggest day of sales since launch and up 3x week over week"
The $199 Kindle Fire HD is the 16GB Wi-Fi version with special offers. Seems like instead of killing the Kindle Fire HD and Nexus 7, the iPad Mini actually legitimized them. Or maybe people were waiting to see what Apple would do with the iPad Mini before they made their decision on buying a smaller tablet (with a lot choosing the cheaper option).